Bertha and I were married to our spouses–Gary and Margaret–for some 52 years each. The Lord took Gary to Heaven in May 2014 and He took Margaret in January 2015. While we had never met each other’s families, Gary and I had been friends since seminary in the 1960s. Bertha and I met for the first time on February 15, 2016. We were married on January 11, 2017 after 11 months of visits (we lived 200 miles apart), phone calls, texts, letters, and all the usual stuff. As I sit at the laptop typing this, our marriage is two weeks old. I recommend it! These are merely our opinions and suggestions. Feel free to cherry-pick from them. 1. Stay close to the Lord because His leadership was never more important than now. 2. When you meet someone who may be “the one,” plan to give it a year before you marry. That was our plan from the beginning, and we almost made it. We married 11 months after meeting. People will tell you, “You’re seniors. You don’t have time to waste. Get on with it.” That’s terrible counsel. We have replied, “We don’t have time to make a mistake. So, we will take our own good time about this.” Better a few years well-founded than to rush into a marriage ill-prepared, poorly thought-out, for which no plans have been made. As a pastor and preacher for over five decades, I’ve seen seniors rush into quick marriages and regret it almost instantly. 3. Get to know the relatives. People will say, “You’re marrying each other’s family.” Well, that was more true when you were 22 than a half-century later. We won’t be having babies, inviting the grandkids over for a sleepover, or baby-sitting for each other. Our families live all across the Southeast and most of the grands are in their 20s now. So, while getting to know each other’s families is definitely important, it’s not like when you were young adults. 5. Seek counseling from a professional. The series called “Prepare/Enrich” is highly recommended. Only a few weeks into our budding relationship, Bertha and I scheduled an appointment with a marriage counselor. We wanted an objective outsider to take a look at what we were doing and advise us on areas we might be overlooking. After taking the online inventory, the counselor said we were so well matched there was no further need for his services. That was good to know, and we thought the same thing, but we needed to hear it. 6. Watch out for the physical. It can dominate everything early and nothing good will happen afterwards. 7. Decide early what would be a deal-breaker for you. In fact, it would be good to establish this before you meet the special person. Otherwise, backing out of an unhealthy relationship will be next to impossible. 8. Establish some ground rules, such as agreeing never to compare/disparage previous spouses, but feeling free to share wonderful experiences and memories about the past. 9. Get a Ph.D. in the other person. That is, learn all you can about their backgrounds, their achievements and disappointments, their heartaches and greatest joys. Understand each other’s daily habits. As you are able, visit the places each of you grew up. Meet old friends for lunch; see each other through their eyes. 10. At some point, spend time talking about sexual expectations. Is this marriage about companionship only, or do you want it to be as physical and romantic as the first time? This has to be talked out. 11. Work at connecting spiritually. Discuss Bible passages, pray together. Make sure you value the things that matter most in life. Worship in church together as often as you can. Decide what you will do about membership and participation after marriage. You each have assets such as a home, perhaps a retirement account, life insurance, and cars. Your children expect to inherit these things some day. 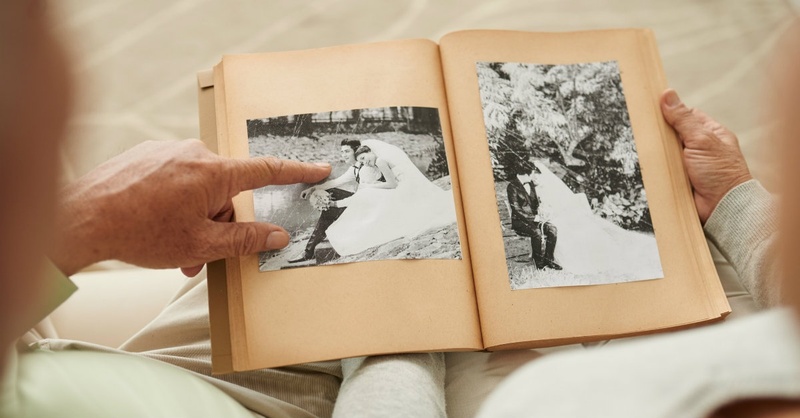 A pre-nup will help you to find a way to merge your assets so you can live this new life you are entering, while leaving your estate intact so your heirs can inherit. A prenuptial agreement may ease the fears and concerns of adult children who worry about being left out in the cold. Prenuptials are not only for rich people, to protect assets of the billionaire in case of divorce. These legal documents also help ordinary people to safeguard their assets in order to have a secure marriage, to take care of the surviving spouse when one of you dies, and to allow your estate to be distributed the way you wish. For a pre-nup, not only will you need a lawyer, but you may need two (one for each). But that will be your choice. In either case, you’ll want to ask around and find a lawyer experienced in these kinds of things. 13. Get as many of your immediate family together as you can for a family conference. Bertha and I did this on a holiday weekend when several of our families were in town. It was a sweet and helpful time. We ended with prayers and hugs all around. We each owned our own homes, 200 miles apart. We had to start the process of decluttering, going through the collection of many years and deciding what to keep, what to give away, and what to toss. We had to buy a new house and sell our old homes. We had to figure how to blend our furniture (and we’re still working on this!). Moving to a new state for me (Joe) meant I had to change everything. Getting a new name and address (Bertha) likewise required a long list of people to call, companies to notify, and government agencies to inform. We quickly learned why some senior couples decide to forego all that and just move in together! We don’t recommend that approach, but we have a better understanding of it. 15. Don’t be afraid to back out if you decide a) this is not God’s will or b) it’s not right. If you cannot see yourself married to that person for the rest of your life, and that means sharing with him/her in the most intimate of ways, it’s time to reconsider. If you stay in a wrong relationship and head toward marriage–even when you know it’s not right and your heart is protesting!–because “I don’t want to hurt his feelings,” you are asking for big trouble. Better to hurt his feelings, if that’s what will happen, than to ruin both your lives. And yes, I think you can assume that breaking off the plans will end a good friendship. But doing the right thing is never wrong. 17. Bertha reminds me to say that at this point in life, we are all probably better people than we were when we married the first time, in our youth. The trials in our past have made us stronger and changed us forever. So, this marriage will not be like the first, mostly because you are a different person from the one you were then. God bless you–and yes, us too!–as we try to serve Him during the few days of our earthly lives.